The Australasian Ornithological Conference is a biennial event for anyone interested in thestudy and conservation of Australasian birds, supported by Birdlife Australia and Birds New Zealand. 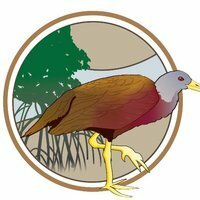 It provides a forumfor ornithologists and conservationists to exchange research findings and to network with many of the region's top bird researchers. The 2017 conference will be held at Deakin University, Geelong,Victoria from 8-11 November,​ 2017. Early-bird registration ends July 14, with abstract submission remaining open until August 15. In addition to the presentation program, we will also be operating birding excursions to Port Philip Heads Marine National Park and Werribee's Western Treatment Plant, a famed hotspot for local bird diversity.